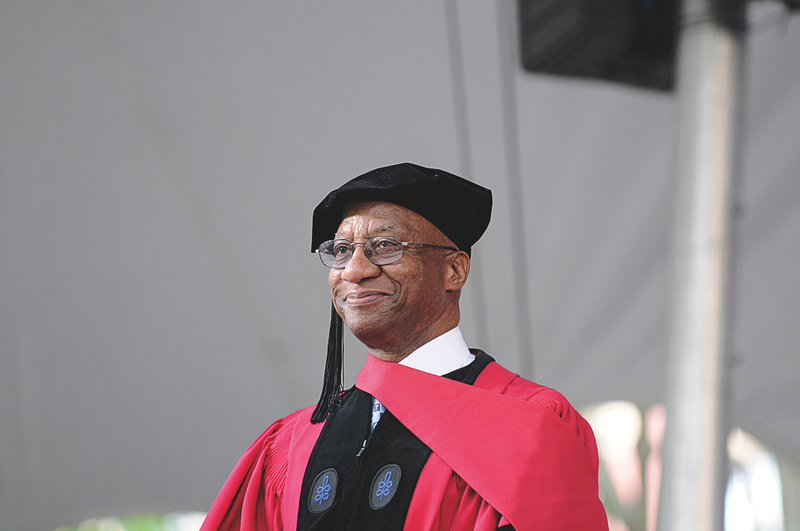 Six men and three women received honorary degrees at Commencement. University provost Alan M. Garber introduced the honorands in the following order, and President Drew Faust read the citations, concluding with the recipient’s name and degree. For fuller background on each honorand, see www.harvardmagazine.com/honorands-13. Donald Roswell Hopkins, M.P.H. ’70. Director of international health programs for The Carter Center, the leader of efforts to eradicate Guinea worm disease. Doctor of Science: Vanquishing fiery serpents with missionary zeal, banishing plagues from countless houses, he nimbly wields the rod of Asclepius, with a scientist’s skill and a humanitarian’s care. JoAnne Stubbe. MIT’s Novartis professor of chemistry and professor of biology, a pioneer in discovering how enzymes guide DNA replication and repair. Doctor of Science: Boundlessly curious, relentlessly rigorous, enrapt by the helical strands that encode our existence, a sage of science who elucidates enzymes crucial to the chemistry of life. Sir Partha Sarathi Dasgupta. Ramsey professor emeritus of economics, University of Cambridge, a leading thinker at the intersection of economics, natural resources, population, and social welfare. Doctor of Laws: An inexhaustibly resourceful economist, dauntless in confronting the largest of questions, he trains his keen eye on the plight of the poorest and insists we value Nature when we gauge the wealth of nations. José Antonio Abreu. Founder of El Sistema, the Venezuelan music-education and social-welfare program for hundreds of thousands of disadvantaged youths. Doctor of Music: Magnanimous maestro of an uplifting movement, orchestrating harmonies that far transcend the stage; in the sublime power of music he finds opportunity’s major key. Lord Robert McCredie May. Professor, University of Oxford, past president of the Royal Society, national science adviser, and mathematical modeler of ecology and biodiversity. Doctor of Science: A prodigious polymath and peerless peer whose mind conceives models that sustain life and whose voice resounds in support of enlightened inquiry. 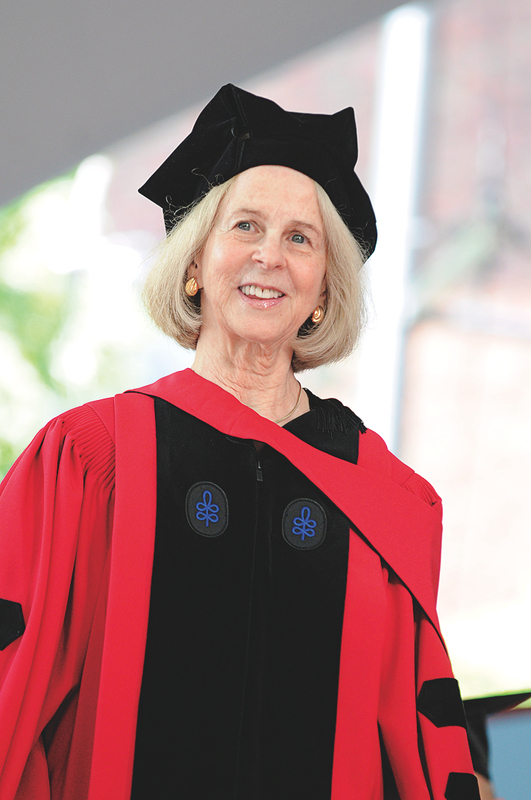 Elaine Hiesey Pagels, Ph.D. ’70. Princeton’s Paine Foundation professor of religion, the preeminent interpreter of Gnosticism and of early Christianity and its orthodoxies and heresies. Doctor of Laws: Bold expositor of the Gnostic Gospels, reading ancient scriptures anew, a scholar transcending tradition’s constraints to bring forth books of revelation. Clemmie Dixon Spangler Jr., M.B.A. ’56. North Carolina business and education leader, past president of the Board of Overseers, Business School benefactor and volunteer. Doctor of Laws: Exponent of education, executive extraordinaire, a transformative benefactor both gracious and wise, who always does something for others while he has the chance. 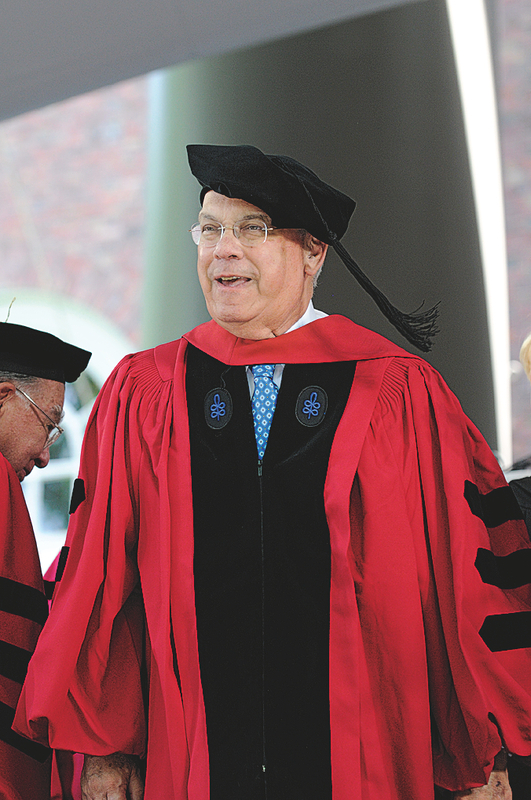 Thomas M. Menino. The longest-serving mayor of Boston, now completing his fifth elected term. Doctor of Laws: The consummate mayor of the people, for the people, an urban mechanic turned urban legend whose love of his city and passion for its betterment have made and kept Boston strong. Oprah Winfrey. Talk-show host, media entrepreneur, and philanthropist. Doctor of Laws: Opening books, opening doors, opening minds to life’s possibilities, a bountiful altruist and woman of valor whose audiences owe her a spirited standing O.